Sign Up for the Next TASTEE Tournament and Beat the Devs! 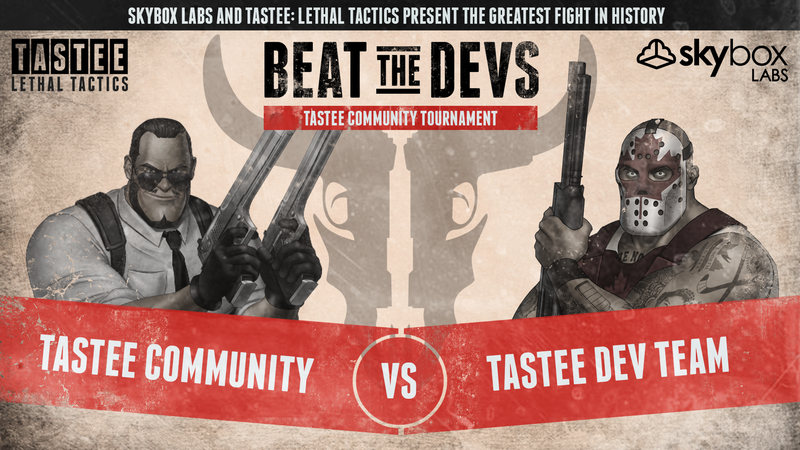 We’re excited to announce our next TASTEE: Lethal Tactics community event: Beat the Devs! The rules are simple: Beat the devs, win a prize! This will be a standard async-match tournament – with a twist! Every player that advances to the finals will take on a member of our development team. If you can beat one of us, you’ll take home a special TASTEE prize! Winners will be taking home a 3D-printed mini replica of Hoser’s shotgun! -> Register for the Tournament! 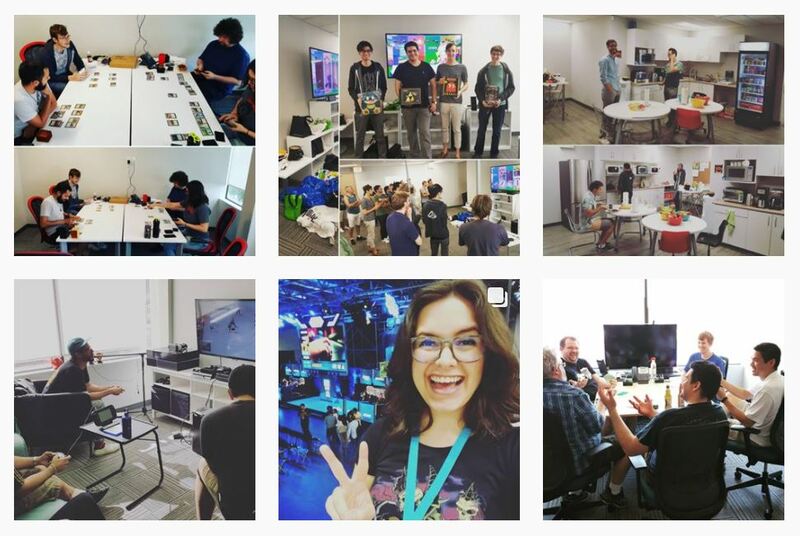 We love running TASTEE tournaments, and we encourage other indie devs to run their own as well – that’s why we wrote this article that explains exactly how we run them. We go over the logistics, the tools that we use to keep organized, and the vendors that we use to create each of the prizes. 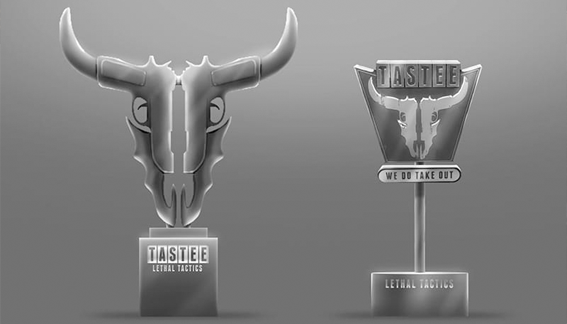 There’s also a great section on the making of our coveted TASTEE Trophy!